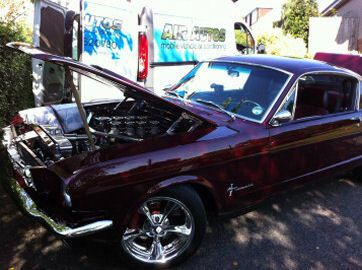 Air Auto's operates a fully mobile vehicle air conditioning service. We bring the workshop to you with the latest specialist equipment to service and repair all types of vehicle air conditioning systems including traditional R134a systems, the old R12 and vehicles with the newer gas R1234YF. We also have the latest Hose and Pipe Repairing Equipment enabling us to offer cost effective hose and pipe repairs rather than expensive replacements. 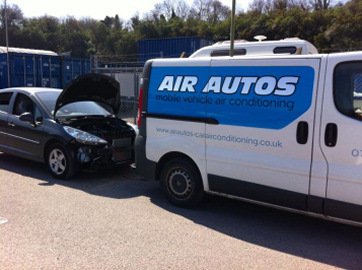 With Air Autos you are guaranteed a professional and expert Vehicle Air Conditioning Regas and Repair service, bringing over 25 years experience. Fully qualified and licenced in Vehicle Air Conditioning with £1 million public liability insurance.